Spring is upon us and summer is just around the corner so it is due time for you to get your favorite fruity cocktails on tap! I love to wow my guests a little whether I’m hosting an intimate dinner, karaoke night or afternoon BBQ. 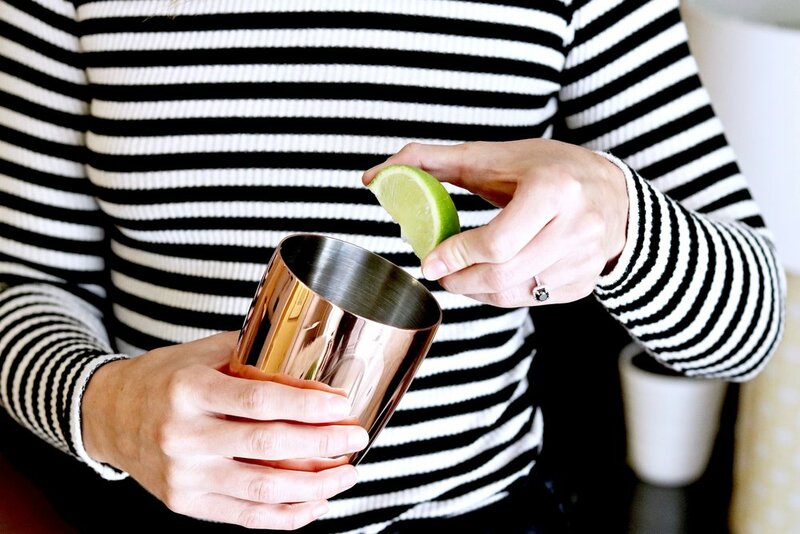 Putting a little oomph into your hosting efforts goes a long way and it can be as simple as interesting, on-trend serveware and a homemade cocktail. Me and my friends are far from a rowdy bunch but it is undeniable that shots get a shindig in motion. Instead of serving them up straight, I decided to infuse one of my favorite cocktails with my favorite summer fruit and strengthen the recipe a tad to make this beverage shot-worthy! Introducing these delicious Watermelon Moscow Mule shots made with Absolut Elyx vodka! Note: This recipe can easily be made into full-size cocktails by simply mixing a 1:3 o 1:4 vodka to ginger beer ratio depending on your preference of strength. Pick off and place mint leaves inside a cocktail shaker. Squeeze juice of one fresh lime directly into shaker. Scoop contents of half a mini watermelon into a blender being sure to avoid the rind. Blend thoroughly for a few seconds. Pour blended watermelon through strainer into cocktail shaker. Measure if you want to be precise but pour directly into shaker based on your own taste preference! Add vodka and ginger beer to cocktail shaker and get shaking! 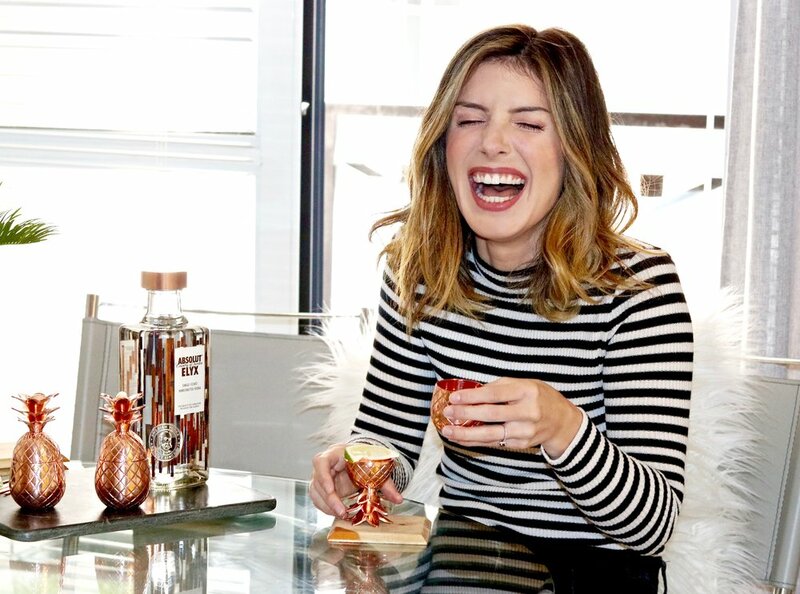 Serve up your shots with a slice of lime and keep on top of the “all things copper” uber-trend of the moment with serveware like these pineapple shot glasses from Absolut Elyx… even the Absolut Elyx vodka bottle is chic and copper adorned! Gift boxes of their serveware also make great gifts for birthdays and housewarming parties!